We work with Educational Psychologist Leona Black. 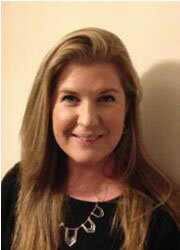 Hello, my name is Dr Leona Black and I am an Independent Educational Psychologist. I have worked as an Educational Psychologist since 2007. I studied for my Doctorate at the University of Bristol, my undergraduate degree in Psychology at the University of Bath and my PGCE at the University of Cambridge. I’ve previously supported children and young people in a range of roles including as a teacher in schools. My aim is to be honest, friendly, non-judging, supportive and non-critical. The study of behaviour – the way people think, feel, learn and behave. I firmly believe in the importance of psychological understanding and how this can help children and adults make significant changes to their lives. You may or may not have met an Educational Psychologist before, but we are all quite different in our approaches. My aim is to promote child development and learning through the application of psychology to bring about change. I do this through drawing upon the knowledge of those that know the child the best (you and their teacher) and through my own assessment and observations. The Special Educational Needs Co-ordinator (SENCo) in discussion with, and permission from you, requests my involvement. At this point the school will ask you to sign a form to give consent to share information about your child with me and to my involvement. I will not discuss or see your child without this. The school will inform you of a date when I will be working with your child and/or meeting with you and/or the teacher. I may meet with you first and then meet the teacher separately or I may meet you together. Sometimes I work with children directly but sometimes I observe in class to inform the assessment and interventions. I will have a consultation meeting in school which will last up to an hour. During the consultation we will talk about your child’s strengths, difficulties, what has been working well and then focus on any goals or changes we would all like to see. Your views are very important so it would be good to speak with you, ideally in person or on the phone if you cannot come to the consultation meeting for any reason. We would then agree future goals and actions and I will review these at an agreed later date in school. You will receive any reports, records of consultations or summaries and so will school. If it is appropriate, I will share my reports with other professionals involved in supporting your child. Please read the consent form carefully, fill it in where you can and sign it. Thank you for taking the time to read this leaflet. If you have any questions before I become involved with your child, please do contact me or the SENCo from their school.